Growing up in a small town in Wyoming, where no stores carried dog crates, I had only heard of crate training. What a surprise when it became a necessity! I was 18 and had just brought home my first dog, a 9-month old male, show Rottweiler. He is the reason crate training is no longer an option for my dogs. My Rottweiler broke 3 windows and swallowed 3 batteries before I became a believer. I had the normal reservations at first, not wanting to cage my new dog, but the bigger issue was that crates were simply unavailable to me at that time. Instead of continuing to risk my dog’s life, I purchased a crate from a mail order catalog, and I have never turned back. I have no doubt that the crate saved my dog’s life and helped him to live to a ripe old age. Without it, he would have leaped out another window and been hit by a car, or he would have ingested something toxic. Crates are essential tools for helping pet parents keep dogs safe and content. Crates allow you to travel with your dog with less anxiety and they are fundamental to potty training an older dog. They also allow us owners to get a break from the constant supervision that comes with having a new dog in the family. With appropriate and consistent crate training, your dog’s crate will become his home within his home, his safe haven, and his happy place. 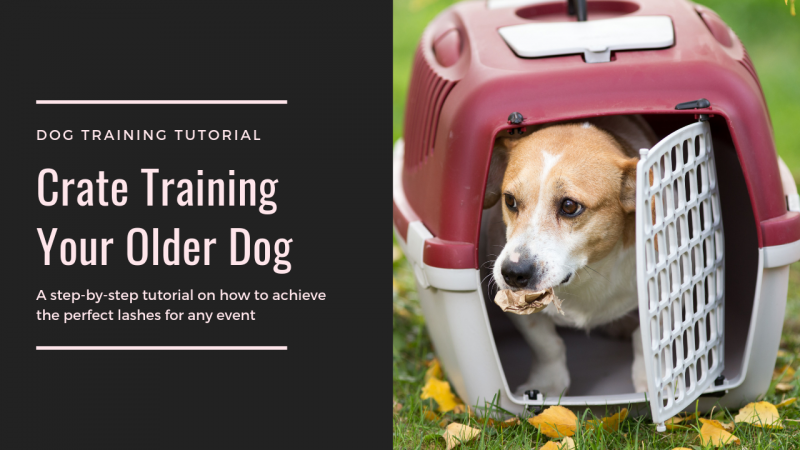 The specifics of how to crate train an older dog may be slightly more difficult than crate training a puppy, but it is still fairly easy if you employ the right tactics. Some dogs have had negative associations with crates in the past, and some have simply never seen a crate. 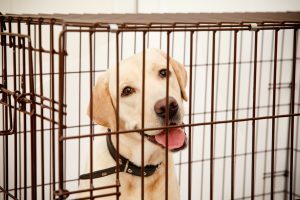 Either way, most dogs are “crate-able” and benefit from crate training. The first step in crate training an older dog is to select a crate that is an appropriate size. No matter what type of animal you want to crate, the one rule to follow is that the crate (aka kennel) needs to be large enough for the dog to comfortably stand up, turn around, and move freely. Trying to crate your dog in a kennel that’s too small is going to make the process take much longer and is really not kind to the animal. Don’t get a kennel that’s too big, either! Kennels that are too big make it harder for you to potty train your dog (but potty training is an article for another time). Next, determine which type of crate you would like to utilize. Crates come in all shapes and sizes, from plastic crates that are darker inside, to wire crates that allow the dog to see more, to steel or aluminum crates that are impossible to break out of and often used for police and working dogs. Most often I have found that dogs prefer the darker environment of a plastic crate. 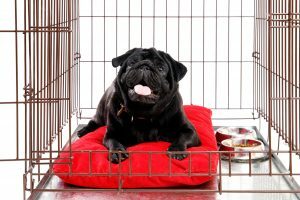 Plus, when you crate at night, darker crates offer a more inviting space for your dog to cozy up and relax in compared to those big open ones. Dogs go into their crates because it’s a space to chill out and take naps, and a darker crate is usually more conducive to leaving the cares of the world behind. Fearful dogs often dislike wire crates because they feel trapped while being visually over-stimulated by the outside world. Next, it’s time to acclimate your dog to his crate using positive reinforcement. The best way to do this is to make your dog’s crate the place where all his favorite things happen! Start feeding your dog his meals from inside his crate, along with his water and all his treats. 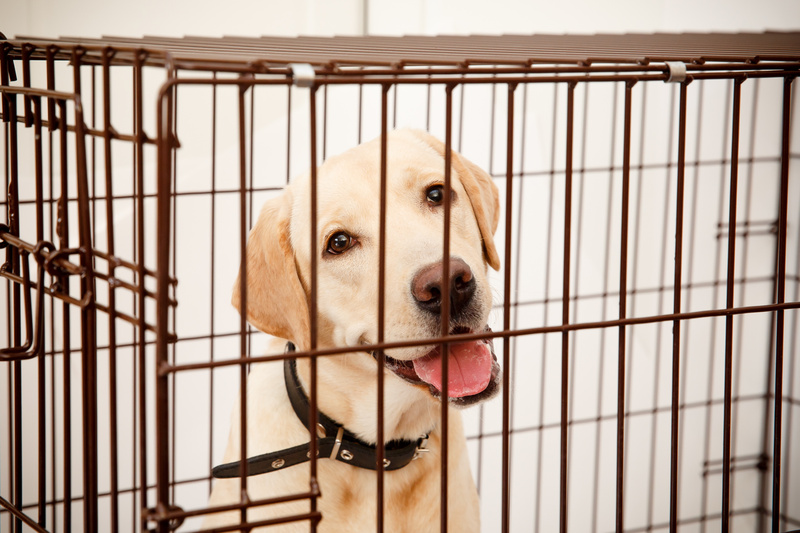 POWER TIP: Don’t close the door to his crate during this phase of crate training. If you have been feeding your dog scraps off your plate after meals, put that plate into his crate (this is actually the first step towards getting dogs to stop begging, which we’ll cover later). Put a nice comfy bed or blanket inside so it’s the most comfortable place for him to sleep. Basically, anything you can think of that is good should happen inside the crate (like a favorite toy). This is about positively reinforcing your dog that good things happen in crates, so he won’t put up as much of a fight when we get to the stage where we ask him to be in his crate for hours at a time. We want your dog to think of his crate as the ultimate “Happy Place”; where he goes when he wants to feel safe, is sleepy, or wants to relax. POWER TIP: Give your dog what we call ‘Foraging Toys’ inside his crate. These Foraging toys turn up the value of treat giving, because, by hiding food inside, they take a dog a long time to consume. They’re like SUPER treats that keep on giving – sometimes for hours! One of the best is KONG toys. I like to get several Kong toys at a time and make meal recipes with them. Now these aren’t recipes you or I would like but dogs love them. Take something sticky, like peanut butter, and mix in a bunch of other tasty things, then stick them in the freezer. Then when you’re feeding them to your dog, he thinks you’re the Pet Parent of the Year! Spend the little extra time it takes to make these, and it’ll turn the crate training process up a notch. The fact that it’s both sticky and frozen adds to the length of time it takes the dog to get the goodies out of the middle… which has the side-effect of increasing the time of enjoyment for your dog while he eats these in his crate! It’s a little trick for helping condition him to stay in his crate longer and longer. Once your dog is feeling great about his crate it is time to get him comfortable with staying there for longer and longer periods of time. We will turn his crate into his “Happy Place” using a schedule. Once your dog is comfortable going into his crate to eat, close the door while he eats. Then, as soon as he’s done, open the door and let him out. When your dog is okay eating his Kong for five minutes, with you in sight, for a day or two in a row, give him his Kong and leave for a minute or two. See if your dog can eat his Kong for 5 minutes with you out of sight (again, being sure to open the door and let him out after 5 minutes). Don’t try to push him to be in there too long, too fast. Once your dog is okay with a Kong for 5 minutes at a time without being able to see you, you’ve done a great thing! You’ve taught your dog to understand that he’s not being abandoned, and that you always come back to let him out. 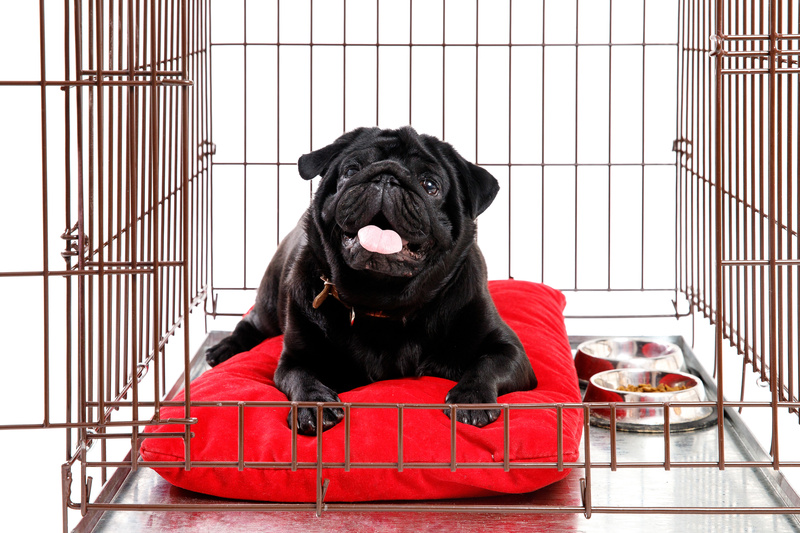 Once your dog is comfortable in his crate, we need to train him how to handle hours at a time. If your dog starts whining or barking at any point during this stage where we’re trying to get him to be capable of staying in his crate for over an hour, here’s a video that shows you a clever game to help handle this. We call it the Peek-a-Boo game. It is crucial during this phase that you balance the length of time you need your dog to stay in his crate with the reality that your dog might need to work on not just barking every time he feels a little anxious or wants to get his way. Pet parents often accidentally create a ‘Bad Barking or Whining Habit’ by trying to crate train their dog, but then letting their dog out every time he barks. This is NOT allowed in my house. 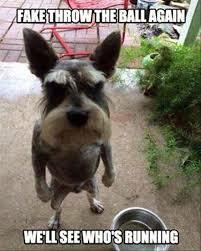 Just like I don’t let my children get treats they want when they whine, I don’t let my dogs, either. My dogs can’t bark to get ANYTHING they want in their life. And neither should yours. 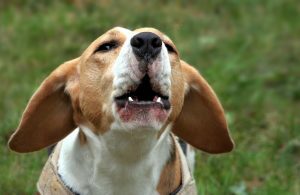 You should teach your dog that barking for food, to go outside, to be let out of a crate, buys them another minute of NOT getting what they want. Sometimes you feel bad for your dog, because he might be feeling anxious about how long he’ll be locked in his crate, especially in the beginning of this crate training process. That’s what the Peek-a-Boo game is all about. It’s a way to handle the balance of a dog wanting out of his crate and you not accidentally training your dog to run you over. If you find yourself having a hard time getting your dog comfortable with the amount of time he needs to spend in his crate, I would strongly consider finding a local pet sitter that can help you. Pet sitters are an INCREDIBLY underutilized resource for raising well-adjusted dogs. The value they bring by giving your dog time to interact with other dogs is reason enough why you should consider them. Dog sitters are also a great tool you can use to prevent the overwhelming boredom some dogs feel when adjusting to longer periods in the crate. Tip #1: When crate training older dogs, you’ll have more success if you spend a little time exercising your dog before he goes in the crate. And when I say exercise, I don’t just mean a walk around the block; that’s not exercise. I’m talking about sleep-inducing exercise! For more tips on how to really exercise your dog, check out this post. 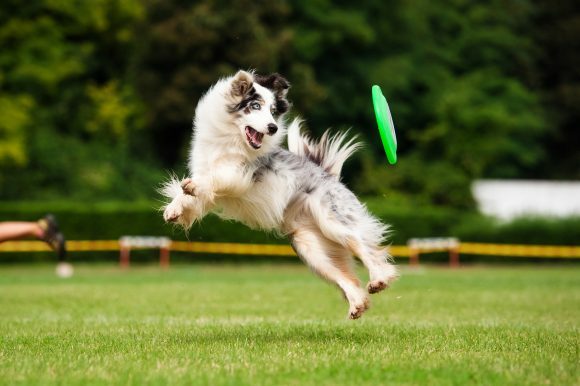 If Chuck-its are not an option for your dog because he struggles to retrieve, read this article. Tip #2: Mental games are often MORE tiring then physical exercise. 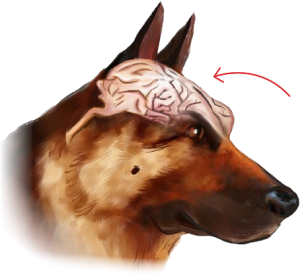 That’s why one of the things we created here at the dog training secret is our Trick Training Guide. It’s a bunch of fun games like this Beer Retrieve trick, that stimulate his mind while also being fun for posting on Facebook! 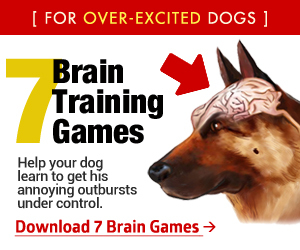 Also think about Puzzle Toys to give your dog outside of his crate, as they can give his brain a workout without you having to be involved. In many ways, crate training older dogs is easier then crate training puppies, because older dog’s bladders are stronger. But remember, asking your dog to hold their bladders too long is not comfortable for them. If you’ve ever been on a long road trip and had to hold it longer than you wanted, you know what I mean. Asking a dog to hold his bladder longer than he wants is going to hinder your crate training progress. Make sure that your dog does his business before his crating, and that you arrange to give him potty breaks on a schedule that makes sense. Ideally, this would be at the same time every day, as dogs love consistency. 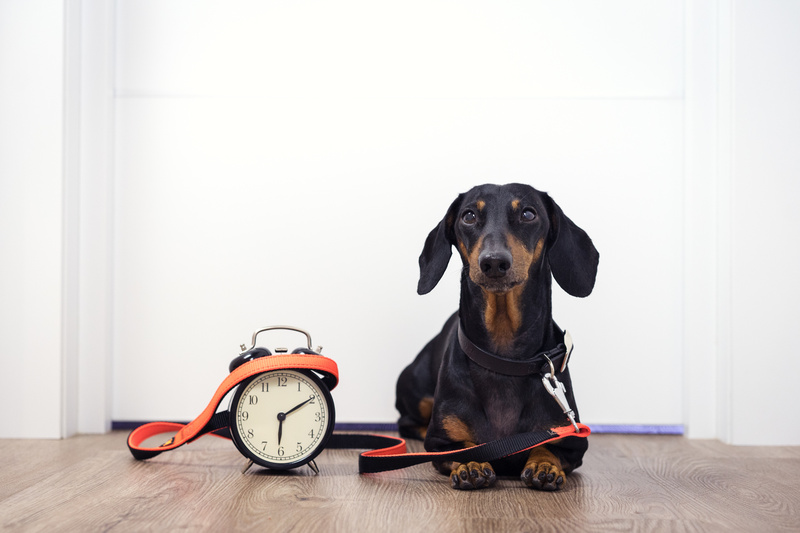 By teaching your dog to count on when he will be let out for play and exercise, you’ll have a much easier time getting him to like his routine of spending longer amounts of time in his crate. One of the things we’ve created here at TheDogTrainingSecret.com is a calming formula that you might want to consider giving your dog while you are in the crate training process. It’s a natural formula that is loaded with calming herbs that take the edge off your dog (especially dogs with anxiety) without leaving him drowsy and sedated. We created this formula originally for dogs with anxiety or fears of loud noises like fireworks but have discovered that it can really help give your dog a calmer disposition, making him feel better in his crate, faster. 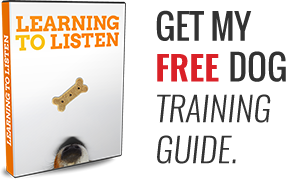 If you haven’t considered an herbal supplement to help your dog through his training check out our CALMZ here: https://calmz.thedogtrainingsecret.com/. It’s a tasty treat that can make crate training much easier!